This stylish return address label design gets its name from a resemblance to those floating aircraft we see circling football stadiums every fall. 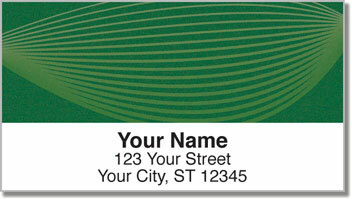 The pattern of curved lines creates a gracefully professional appearance for all your letters and packages. Choose from four vibrant color selections every time you prepare your outgoing mail. However, the biggest benefit isn't how attractive your mail will look, it's how much easier the chore of filling out envelopes will become. 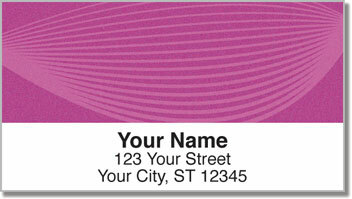 Instead of scribbling out your name and and address over and over again, just stick on these self-adhesive labels. They're a simple solution and a classy finishing touch. Order your own Blimp Lines Address Labels right now! You can also get them in a set of matching personal checks.